Do you have a Van Gogh in your attic? Might want to check. Recently, a painting gathering cobwebs in a Norwegian attic was declared a genuine Van Gogh, increasing in value about 10 zillion percent. Seems the painting had been declared a fake in the 1990s, largely because the mercurial artist had not signed it. Details, details. 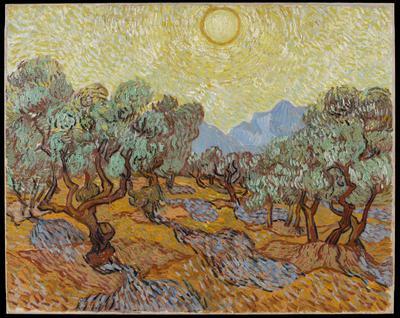 Other evidence confirms its authenticity as the long-lost Sunset at Montmajour, including a letter from Van Gogh to his brother describing the painting and when he painted it. It will be on display at the Van Gogh Museum, in Amsterdam, starting September 24.